Experience life, as a doctor, in the world's largest city! China is the world's most populous country and currently has the fastest growing economy on the planet. As wealthier Chinese, and the ever expanding ex-pat population seek improved healthcare services, our client is growing significantly over the next few years to meet this demand. You will be joining an established private hospital in a healthcare company, that was established 20 years ago. If you are seeking a new challenge and would like the opportunity to fast-track your career in an emerging market, please do get in touch. 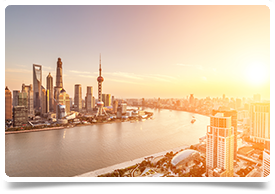 Often referred to as the ‘New York’ of Asia, Shanghai is the world’s largest city and has an ever growing population of around 24 Million residents. As China is opening up to the world, Shanghai is among the chief beneficiaries and in 2016 it was named the most attractive city for expats (for the fourth time in six years) by International Talent Magazine. Shanghai is home to over 170,000 expats as of 2015.